"Good day! Thank you for visiting our website. My name is Vitaly Dulienko. I am the development director of Uncle Vanya corporation. During 20 years we grow and produce 100% natural canned vegetables under UNCLE VANYA trademark. Click "Contact supplier" and your message will come exactly to me . I will personally supervise every process to make a deal. Hurry up to be the first ! " Long-term relationship and joint step-by-step business growth. 19 years deep expertise as a grower and producer. 3 years' experience exporting to 9 countries. Breath-taking visual impression from product view. 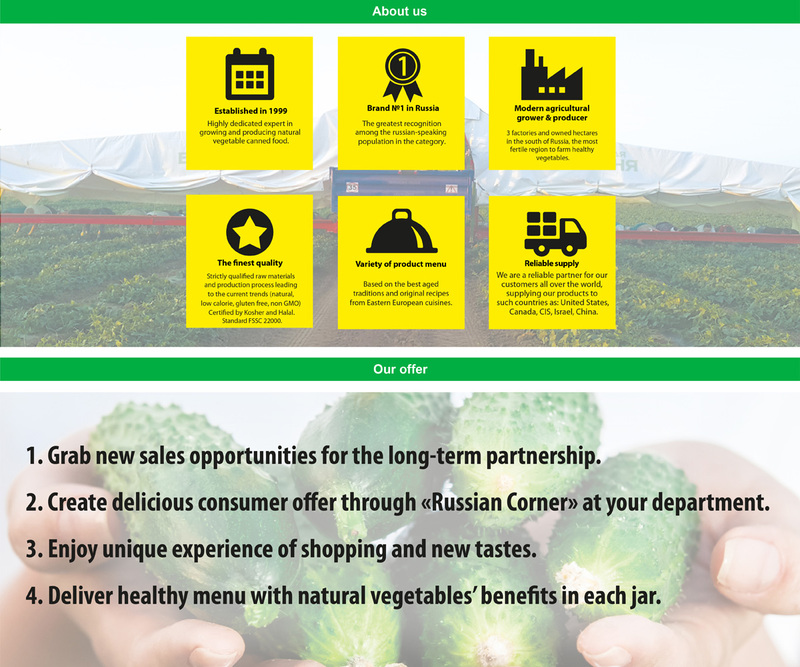 For 20 years we grow and produce 100% natural canned vegetables under UNCLE VANYA trademark. Uncle Vanya is number 1 in Russia because the finest quality and original recipies make consumer to love it. On top of that all our products are certified by Halal, Kosher and Vegan. Our production process complies with the world food safety standards. For 3 years we have been exporting to the USA, Canada, Europe and Israel. Right now you have the great opportunity to become our distributor in your country on exclusive terms. We are well known and established Russian company LLC "Plodoimport".